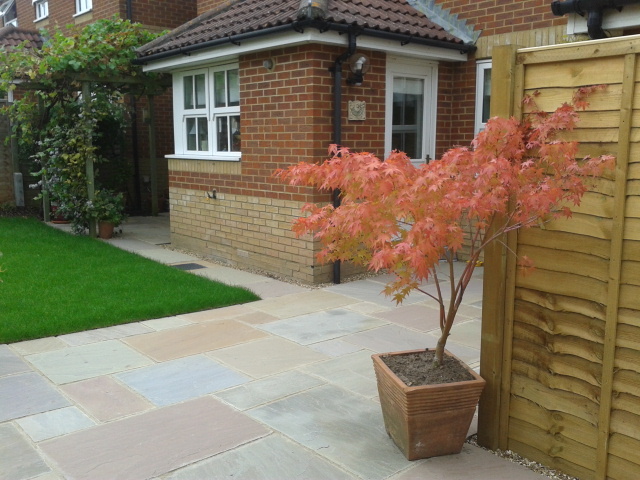 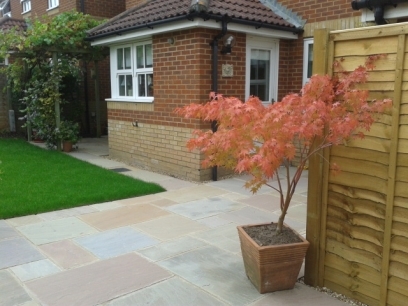 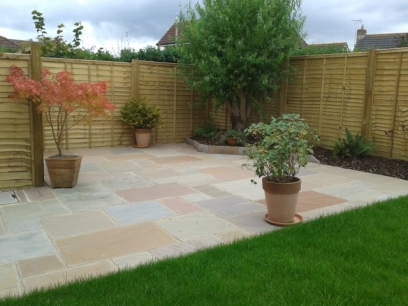 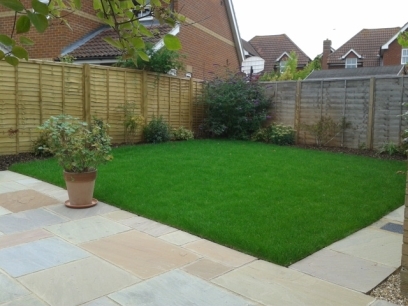 Indian sandstone paving: This patio was the main part of a garden revamp, including leveling, new fencing and lawn. 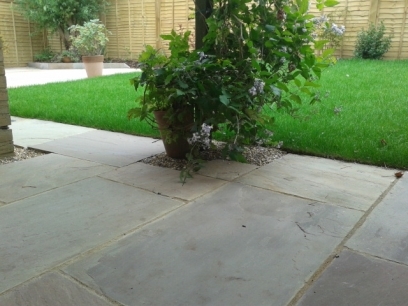 Sand stone paving and patio works by Rob McGee & Son. This work was carried out near Ashford in Kent.